Every girl needs a glamorous night out every once in a while! 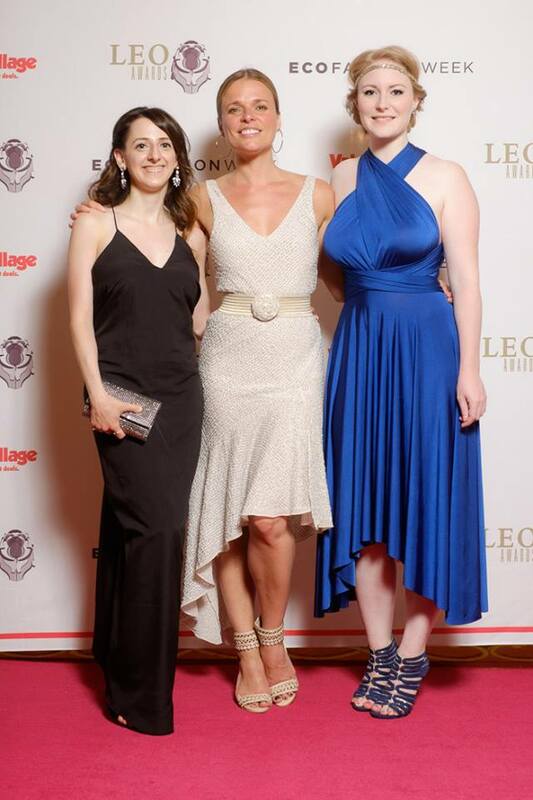 I was very grateful to have been invited to attend the Leo Awards' Gifting Lounge for the first time this year, and had a wonderful time all dressed up for the annual celebration of BC Film and Television. The awards ceremony was held at the historic Fairmont Hotel Vancouver, the perfect venue to hold such an elegant affair. This year's ceremony included industry influencers such as Carmen Moore, Michael Eklund and host Christopher Heyerdahl. If you're a Hell on Wheels fan, you'll know Heyerdahl as "the Swede", and he is fantastic in the role! 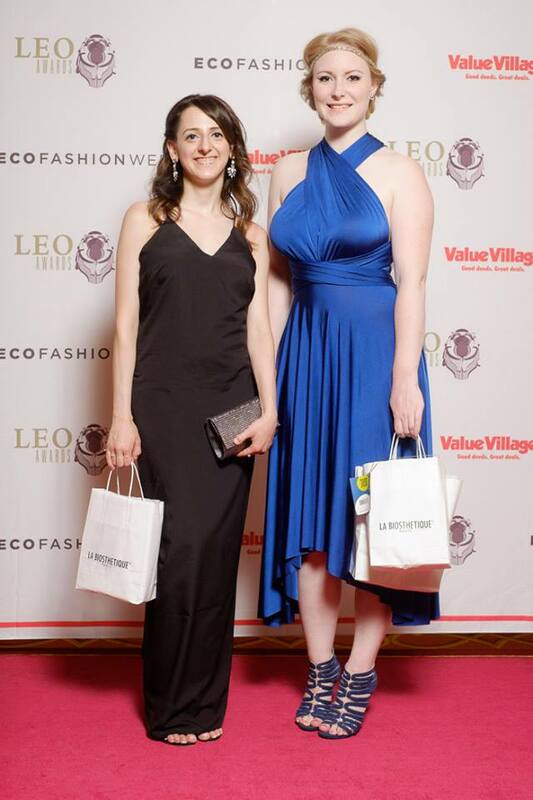 The gifting lounge was hosted by Eco Fashion Week and presented by Value Village, so all the products featured in the lounge were either locally made and/or eco-friendly, to fit their sustainable and eco-conscious mantra. It was great to see so many 'green' brands under one roof, especially fashion brands Value Village, Mine & Yours, and Turnabout. As an avid thrifter, I love to see consignment and thrifting being showcased at such a high profile event, encouraging people to give it a try for themselves. With the average person throwing away 68 pounds of clothing ever year, it's more important than ever that we recycle and re-use fashions. In addition to fashion, there were all kinds of other local treasures to be found in the gifting lounge, from Salt Spring Island Candle Co. candles and hand crafted jewelry brand Hart + Stone, both made on Salt Spring Island, to Vancouver-based all-natural Thera Wise ointments and hand made natural soaps from PUKAlily. Nature's Path and Santevia introduced guests to healthy lifestyle products, a perfect fit for a BC-focused event. If you're a coffee lover, both milano Coffee and Smell This! Aromatherapy both featured indulgent and aromatic gifts, from bourbon coffee beans to coffee body scrub. I'm not even a coffee drinker, and I couldn't stop sniffing them! Other products featured in the lounge included coconut chips from be, David's Tea coupons, luxurious creams and gift certificates from Black 2 Blond Salon & La Biosthetique, and even some little flower seeds from Strathcona 1890. Make sure you're following Vancouver Vogue on Instagram, because I'll be posting more about the gifting lounge products as I try them out! Beautiful work! Great photos and thorough coverage of products and event!